Preparation of a diluted solution, 5 of 5. 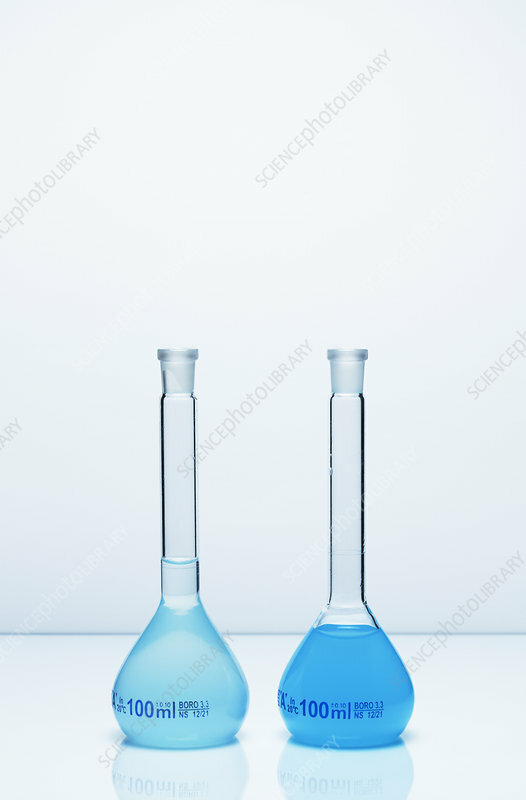 To prepare 100 mL of 0.01M copper sulfate (CuSO4) solution, one starts with 0.1M copper sulfate stock solution in a 100-mL volumetric flask (Photo 1). A volumetric pipette is used to withdraw 10 mL from the stock solution (Photo 2) and transfer it to an empty 100-mL volumetric flask (Photo 3). A wash bottle is then used to add distilled water to that flask (Photo 4) until the total volume is 100 mL (Photo 5).